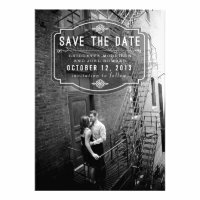 Beautifully designed wedding "Save the Date" Photo Announcements, are very easy to customize to suit your needs for any special occasion! No minimum order & save $$ when buying in bulk! 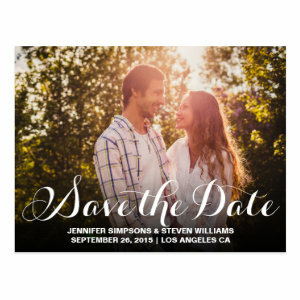 These gorgeous "Save The Date" Photo Announcements are the perfect personalized invite and a great way to start your wedding celebrations. 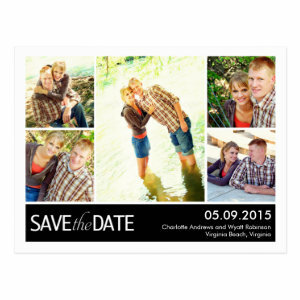 These "Send the Date" announcements are very easy to create. Simply upload the photo of your choice, edit the text to include your wedding party details, guests names and any other relevant information. It really is that easy. 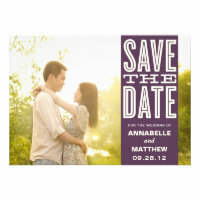 Most couples looking to get married will send "Save the Date" invitations or announcements to party guests. It's a nice way to let those closest to you know to keep the date free for your wonderful celebrations. 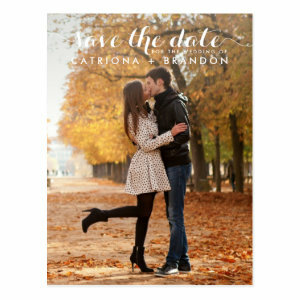 Most send the date announcements are fairly simple and only have the most basic details on, like the engaged couples names, date of the wedding and sometimes the venue. 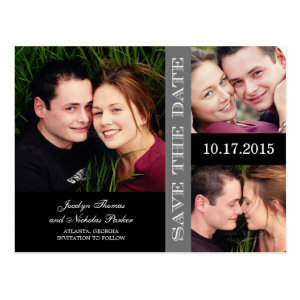 All other details are normally included on the wedding invitations which are sent later. Sending personalized stationery is a really nice touch and something which party guests love. 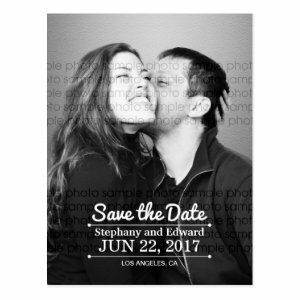 This collection of photo announcements allows you to have different designs of invite, upload one photo or a few in a mosaic pattern. Show the progression of your relationship, close family and friends who will be attending or something romantic to get you in the mood for a wedding celebration. 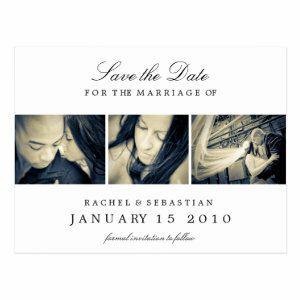 Whatever style you decide on you can be sure the high quality printing will display your choice beautifully. 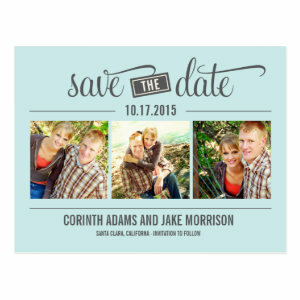 "Save The Date" Photo Announcements are a lovely way to invite family and friends to your wedding a a personal reminder of your special day.